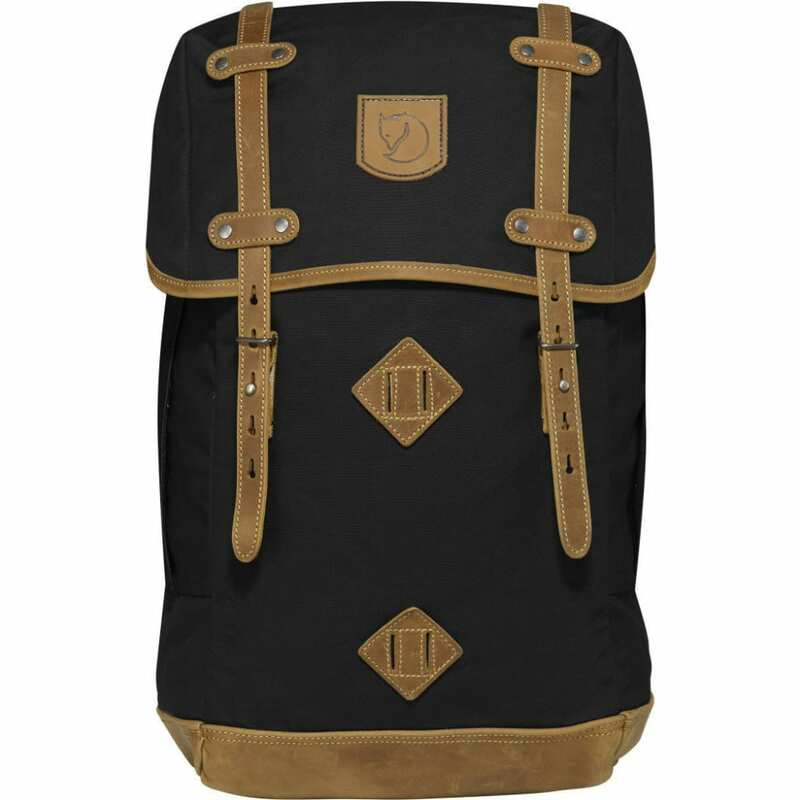 Constructed with G-1000 Heavy Duty the Rucksack No. 21 is designed to withstand rough treatment that comes with everyday use, traveling or spending time outdoors. The main compartment is loaded from the top, comes equipped with a snow lock and has an inner pocket with a padded bottom to hold a laptop. It also has a removable seat pad and the light-colored lining makes it easier to see the contents. The top lid is held in place by straps that attach to metal nubs on the front.